5 Simple Tips to Become an Effective Leader - The Highlands Co.
For someone new to a leadership role, there are new challenges that naturally come with the change in position. 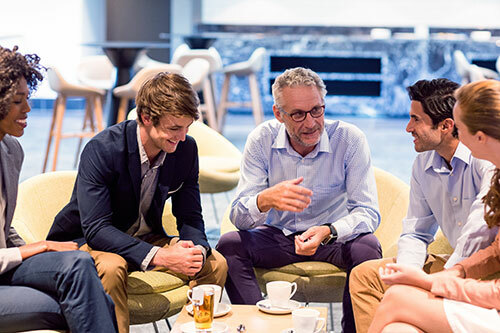 Some of those challenges may be anticipated, but what many leaders fail to recognize is that the skillset required for the new role is different than the skillset that was required for their previous roles. An increase in salary and new responsibilities don’t necessarily mean that you need to double down your efforts and keep doing more of the same in order to justify the new position. Instead, these five shifts in thinking can help clarify your new role and make you a more effective leader. Move from thinking: I will know how to lead when I am selected for a leadership role. Move to thinking: I need to be aware of what I don’t know when I take on a leadership role. Leading a group of people to “get the work done” takes a different skill set than “doing the work.” When you step into a leadership role, recognize that you have new things to learn in order to become an effective leader—it won’t just happen magically. As part of your new skill set, take a step back from the work you used to do and recognize that there are different ways to do good work. Depending on the talents of your team, that may look different than what you experienced, but that doesn’t mean that your team can’t still be effective and efficient. Move from thinking: Leadership roles require me to do what I already do, just on a bigger scale. Move to thinking: Leadership roles require additional competencies that may require some skill building. Because leadership positions often come with an increase in pay, people naturally assume that leadership is the reward for good job performance. Following that same logic, people think that in order to merit the higher salary, they must do more of what they had previously been doing. In fact, leadership competencies are different. That means we’re back to having to learn some new things such as differences between people (e.g., talents) and processes (interactions between people) to get the work done. Move from thinking: As a leader, I will make changes I know need to be made by using my knowledge and expertise. Move to thinking: As a leader, decision-making will be more complex, and I need to know how to work through others and use influence. It’s natural to have ideas and opinions about changes that need to be made in an organization, and when people are promoted to leadership roles, they are typically quick to try and implement those changes. However, the perspective of a leader is different from that of a specialist. Great leaders must learn to take the entire organization or branch into account, rather than just one narrow area. They must learn to honor the complexity of the organization and consider how outcomes influence current and future relationships (within the team, across the organization, with customers and other stakeholders), resources (availability, accessibility), barriers, alliances, and more. Move from thinking: My current effectiveness as a leader will carry over to other leadership roles. Move to thinking: Effectiveness in a leadership role is a combination of my talents and the circumstances. Just as no two individuals are the same, no two sets of circumstances are identical. There are limitless possible combinations for any given role, depending on the characteristics of the leader and the circumstances at play. 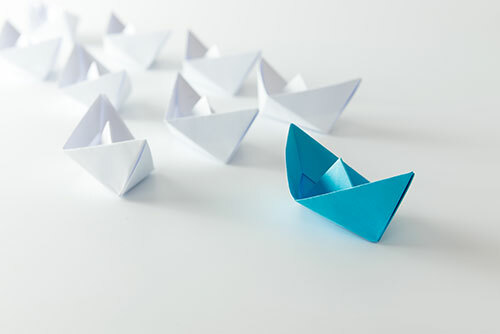 Rather than assuming that every new leadership role will yield the same outcomes, the best leaders know themselves and know how to size up the circumstances. Then they leverage their talents accordingly, which will mostly likely include reaching out to their team and tapping into their talents as well. The best leaders don’t try to do it all on their own. Move from thinking: Leaders are expected to be focused on the work, avoiding anything personal to leak into their roles and responsibilities. Leaders are people. Whole people. That means it’s important for leaders to acknowledge and understand the influence all 8 factors of the Whole Person Model (abilities, skills, interests, personal style, family, values, goals, and career stage) have on themselves. Awareness of these influences is critical; unexamined or ignored they can result in less than optimal decision making. Want to learn more about how to be an effective leader and draw the highest and best out of your team? 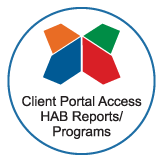 Grounded in the Highlands Ability Battery (HAB), our leadership programs are precisely tuned to serve you and the unique needs of your organization. Contact us today!